“Politics ain’t beanbag,” Chicago’s only black mayor Harold Washington, who faced tenacious and devious local foes, had good reason to remark. Beanbag is a carnival game, played more or less fairly and for paltry stakes. Politics is the amoral no-holds barred arena it is because the stakes are so high. 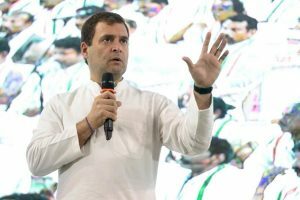 Those enjoying power obviously are dead set on keeping all their advantages. Any trick will do. As Donald Trump demonstrates daily, even the silliest gambits serve a serious purpose. All of Trump’s seemingly mad gibbering antics obscure the reality that he is carrying out the Republican Party’s bedrock agenda of tax cuts for the rich, regulatory rollbacks, military spending hikes, curbing civil rights, and a plummet of the country into another ‘robber baron’ era. Watch the deeds, not the words. In the UK, the widespread accusation that Labour Party leader Jeremy Corbyn, a staunch lifelong anti-racist, is anti-Semitic is, to informed viewers, utterly preposterous. But, given Tory prime minister Theresa May’s bumbling Brexit follies plus rising discontent with her Scrooge-like policies, an election in the near future is possible and Corbyn stands an excellent chance to win. Corbyn’s implacable enemies inside and outside the party accordingly will spare nothing in their transparent ploys to discredit a man who champions the first realistic programme in decades to reverse the long upward shift of wealth in the United Kingdom. The first resort of a threatened establishment, which controls much of the media, and of neoliberal Blairite allies inside Labour was ridicule, which the last election demolished. Ever since Corbyn has faced a volley of vacuous charges ranging from aiding terrorists to being a Russian spy, and the calumny has hit a still higher notch. Why? In July, Corbyn’s Labour Party achieved a 2-point lead over the Tories who led by 7 points just a month before, so something, anything, had to be done by wily Conservative forces to stem this scary tide. 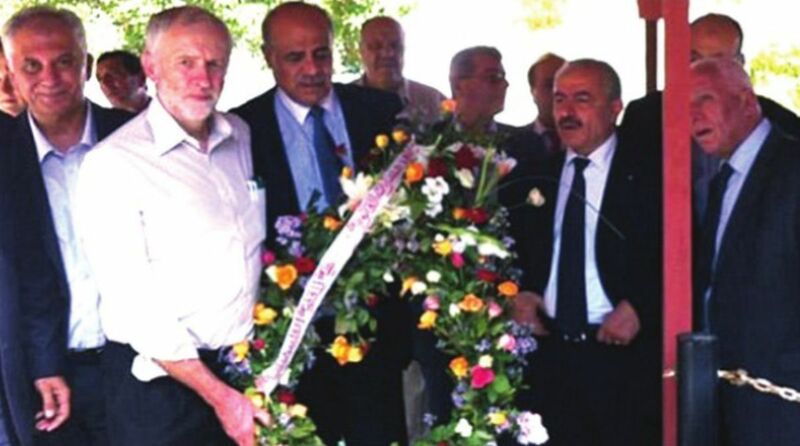 Presto, a 2014 photo was recycled of Corbyn visiting a cemetery in Tunis to lay a wreath on graves of Palestinian victims of a 1985 Israeli air strike (which the US and UN condemned at the time). Corbyn immediately was reproached, especially by that moral paragon Israeli premier, Benjamin Netanyahu, for honouring instead the nearby graves of the 1972 Munich massacre perpetrators. This charge makes as much sense as asserting that everyone who visits Highgate cemetery in London must be a Marxist because Karl Marx is buried there. Labour suddenly is portrayed as the biggest threat to Jews, who in Britain couldn’t be in a safer place, since German thugs buttoned up their brand new brown shirts. The Tories pulled ahead in the polls. Forty British academics in an April letter to The Guardian decried the cynical skewed framing of the roiling anti-semitism debate. Where, they asked, “are the columns condemning the links between Conservative MEPs and right-wing parties across Europe in the European Conservatives and Reformists Group which trade on anti-semitism?” Nowhere, of course. Indeed, when Corbyn responded to incessant press badgering with the underreported fact that Israelis killed more than 160 unarmed Palestinians in Gaza since spring this year, he was treated as crassly anti-semitic. For his adversaries a surefire proof of ant-isemitism is any criticism of Israel at all. Sir Mick Davis, Chairman of the Jewish Labour Council, told a government committee flatly that “criticising Zionism is the same as anti-semitism” too. One can see clearly where this is going ~ exemption of Israel from all accountability. A hostile HuffPost account headline depicted Corbyn as a lout who “refuses to apologize over Palestinian wreath laying” because evidently laying a wreath on a Palestinian grave anywhere is a reprehensible act because, just as evidently, all Palestinians are terrorists. Corbyn, and not this portrayal, is racist, according to his jubilant persecutors. Balking at dubious elements of the International Holocaust Remembrance Alliance’s (IHRA) definition of anti-semitism is depicted in the press as a high crime. What else need be said about how unsatisfactory the IHRA definition is? Labour was reluctant to accept IHRA demands that it is by definition anti-semitic to claim that Israel is a racist state (despite Arab Israelis being second-class citizens) or compare any Israeli actions with those of Nazis (which allows enormous leeway for abuses). Corbyn bowed to orchestrated calls that, among other Labour Party members, Ken Livingston be suspended for referring to an uncomfortable documented episode in relations between Zionists and the Third Reich. One can be anti-Zionist and pro-Jewish just as one also can be anti-semitic and pro-Zionist, as the American fundamentalist Right shows. Quite a few suspended Labour Party members are Jewish. In the midst of this contrived uproar former Deputy Prime Minister Roy Hattersley bemoans a Labour Party “in danger of disintegration,” though it is endangered by none other than Blairites for whom the only permissible “real labour” folks are moderate souls mirroring themselves, as if moving at “moderate” speed further right is the only wise course. The writers are well-known commentators and the authors of Parables of Permanent War among other books.